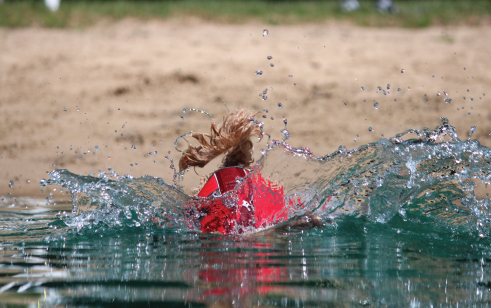 Cool off this summer with a dip in our clean, private lake! Mid-Day Play is excited to offer one-hour swim times May through October. This unique form of exercise is a doggie favorite! 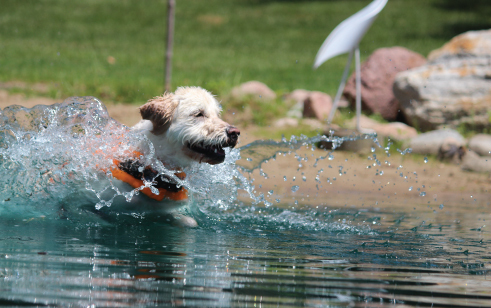 Private swimming is a fun opportunity for dogs and owners to bond and have fun in a safe environment! 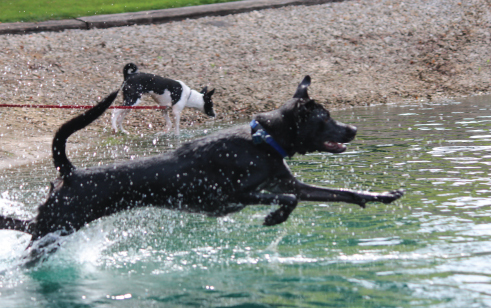 Swimming is an excellent low-impact aerobic exercise for dogs. It benefits all body systems including circulatory, respiratory and musculoskeletal. 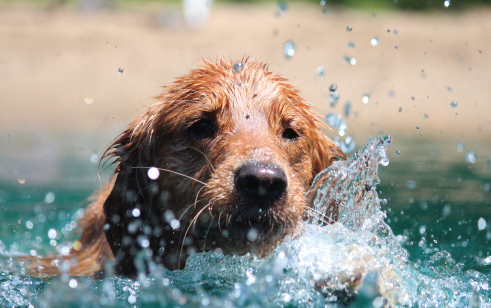 Swimming is a great exercise for dogs of all sizes, breeds and activity levels. It provides mental AND physical stimulation and a much needed release for your dog’s summertime energy. 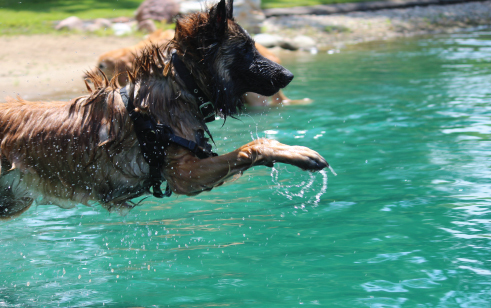 We also encourage owners to swim with their dogs for and even more interactive experience. Our private lake is surrounded by a grassy walkway with a sandy beach! A gradual walk in ensures that your dog can have a safe entry to the water. We also provide life vests for those dogs who need a little extra help. Whether you come once a week or once a summer, your dog will love you for the experience! Call for an appointment Monday through Saturday. 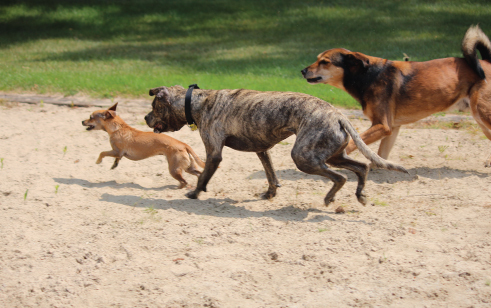 Off leash play is one of the best ways your dog can get exercise, mental stimulation and socialization. 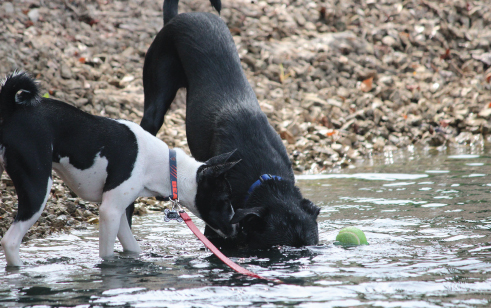 We offer a low-stress, fun environments that keeps your dog active and playful.